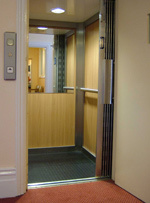 Hydrax specialise in all kinds of lift refurbishment. A low-cost Hydrax refurbishment leaves your lift as good as new. It’s cheaper than a new lift. It’s more thorough than a service. It’s a high quality optimisation of your lift’s potential. In the shaft, Hydrax will replace your ageing hydraulics with new finely tuned parts. This makes your lift feel like new and give a smoother ride. It also keeps your lift up to date with current components and spares, ensuring that next time you’re due for a service, the spares you need are still available. A Hydrax refurbishment facilitates future maintenance. In the car, Hydrax will do a complete re-line of the car, including panels, buttons, doors and everything you need to make your lift look like new. Hydrax works the refurbishment process around your needs, aiming to provide fast and seamless service. With low cost and minimal down-time, modernising and refurbishing your lift is made easy through Hydrax. Give Hydrax a call and let us provide your solution. 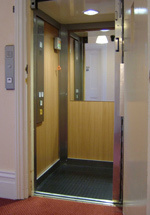 For existing chain drive lifts in your care home, maintenance can be difficult. While lift regulations and redundant parts may leave you feeling that you may need to buy a new lift, Hydrax offer a far cheaper and viable alternative. Hydrax specialises in refurbishment of old chain drive lifts for a fraction of the price of a new lift. Hydrax works with the original design of the lift, enhancing and modernising the components. In the shaft, Hydrax will fit a new drive unit and controller. This makes your lift feel like new and give a smooth ride. 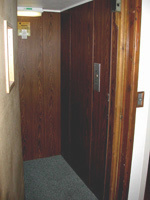 It also means that your lift is now serviceable with modern and available components, facilitating future maintenance. In the car, Hydrax will do a complete re-line of the car, including panels, buttons, doors and everything you need to make your lift look like new. Hydrax works the refurbishment process around your needs, aiming to provide fast and seamless service. With low cost and minimal down-time, modernising and refurbishing your care home lift is made easy through Hydrax.